Bill Vasko has been doing web design since 1995. 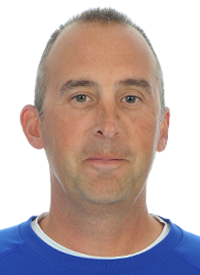 He has nearly 20 years of experience as a coach at the collegiate level, having been an assistant and head coach in 3 different sports at the Division I, Division II, and Division III levels. He also has experience as a coach and athletic director at the high school level. In addition to his coaching career, Bill spends his time developing online resources for coaches, parents, and athletes. He has designed over 30 websites, including CoachBook , the largest social networking site for sport coaches. Bill created XO Coach to combine his knowledge of coaching with his passion for helping other coaches succeed in the profession. Assistant Football Coach, Wide Receivers. Assistant Football Coach, Running Backs. Football - Coached running backs. Assistant Strength/Speed Coordinator. Baseball - Assistant Coach. Head Strength/Speed Coordinator. Assistant Football Coach, Outside Linebackers. Assistant Strength/Speed Coordinator. Asst. Varsity Football Coach, Linebackers & Defensive Ends. Asst. Strength/Speed Coordinator. Undergraduate Assistant Football Coach, Linebackers.